The extraordinary eruption of nationwide protest in June 2018 highlighted widespread fears in the Vietnamese populace that growing Chinese investment in Vietnam could undermine the nation’s independence, and erode the legacy of founding father of the nation Ho Chi Minh. 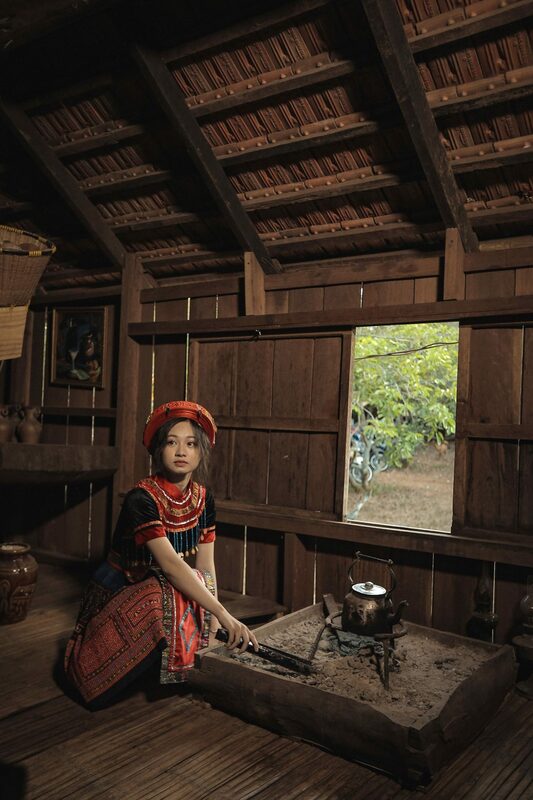 An environmental campaigner and NGO consultant, Ms. Huong, in an interview with The Diplomatcommented, the “Vietnamese people have long been very proud of their independence. They are ready to fight for it at any price. We can’t stand being colonized or oppressed by outsiders. “The movement now against the SEZ [special economic zones] is in continuity with the past.” (Ms. Huong — not her real name — requested anonymity to protect her work for civil society).Enjoying this article? Click here to subscribe for full access. Just $5 a month. During the summer protests, tens of thousands occupied the streets in Ho Chi Minh city. Thousands more demonstrated in six provinces nationwide in June 2018 in an attempt to block a controversial draft law that offered new special economic zones (SEZs) in three strategic locations, with 99-year leases on offer. Chinese companies were the front-runners to be the prime beneficiaries of these locations. Vietnam’s Minister for Plan and Investment Nguyen Chi Dung hopes that the SEZs, located in special positions and run with special preferences, will become magnets for investments, thus helping economic development. In spite of ongoing conflict with China over disputed islands in the South China Sea, and recent protests over special economic zones, Vietnamese Prime Minister Nguyen Xuan Phuc recently wooed Chinese investors at November’s International Import Expo conference, held in Shanghai. China is Vietnam’s top trading partner. Corrupt local officials stand accused both by social media bloggers and the protest movement of “selling Vietnamese land in SEZ zones to Chinese investors.” Critics say that the lack of good governances in SAEZs (special administrative economic zones) has endangered Vietnam’s hard-won struggle for independence. The Vietnamese leaders, Prime Minister Nguyen Xuan Phuc and Communist Party of Vietnam (CPV) chief Nguyen Phu Trong, issued statements after the protests acknowledging the concerns of the Vietnamese people. Phuc told the media that the government welcomed the “enthusiastic feedback” on the law and promised some revisions to the law would be made. The government leadership was caught off balance by the passion of the protests and the hostile pubic reaction and has now delayed the National Assembly vote on the draft law until May 2019. The new, amorphous opposition to the government’s reliance on SEZs and Chinese investment for economic growth has resonated far beyond small groups of dissidents. Newly minted protesters include war veterans, intellectuals, civil society, and disgruntled cadres inside the Communist Party, who feel that Vietnam’s “market-orientated socialism” has failed to uphold the principles of social justice. Bui Tin was not alone in this sentiment. Many today inside Vietnam still cherish the revolutionary ideals of the nation’s founding father, Ho Chi Minh, inspired more by a deep-seated nationalism rather than any allegiance to communism. Former advisor to the minister of planning and investment (2001 – 2006) Le Dang Doanh, a VCP member, was among the many intellectuals who signed a petition to the National Assembly, urging a postponement of the special economic zones law. In the past, dissident groups calling for human rights and multiparty democracy, backed by Vietnamese exile communities in the United States and France, had only marginal impact on the general public. This new genre of mass protest, which is capturing the imagination of a wider public, can be traced back to a 2007 campaign launched against a controversial Chinese investment in a bauxite mine in the Central Highlands. This was the first broadly based protest comprising prominent intellectuals, scientists, and CPV cadres, as well as Catholic activists and Buddhist monks. The movement gained a huge boost from the support of legendary General Vo Nguyen Giap. 55 years after he masterminded the epic defeat of the French colonial army at the battle of Bien Dien Phu, he emerged from retirement at the grand old age of 98 as the world’s oldest green campaigner. In an open letter to the then-prime minister, Giap urged that the mining contract be scrapped on environmental grounds, and warned of the dangerous toxic sludge and damage it would inflict on that Montagnards, the indigenous peoples of the Central Highlands. Bowing to public pressure, the prime minister invited scientific experts to advise the government and collaborate on minimizing the environmental damage from the bauxite exploitation. Professor Vo Quy, one of Vietnam’s internationally awarded experts on environment and conservation, was one of the scientists who strongly opposed the bauxite project. In another challenge to the authorities, in 2015, hundreds of people staged weekly protests in Hanoi over a government plan to chop down 6,700 trees in the capital city’s much-revered tree-lined boulevards. The protests pressured city officials to abandon their plan and Hanoi citizens’ right to preserve their unique heritage won the day. The current protestors are convinced Vietnam’s independence is again endangered by China. The movement is a convergence of disparate groups — bringing together pro-Western dissidents, partisans of Ho Chi Minh’s independence struggles, war veterans, and a new generation of civil society activists. The current wave of anger directed at China, which also targets the government’s lack of transparency and poor economic governance, is far more awkward and embarrassing for the government to handle. Civil society academic Nguyen Trinh (not his real name) observed that in the many different strands that have come together in today’s protest movement, there are two different agendas: reformist and more radical. “There are at least two movements here,” he explained. “One is arranged, controllable, aimed at bargaining to retain the current regime. People following this path can go home peacefully go home after the protest” or just sign petitions. Many critics back a reformist agenda seeking to bring the party back to its original ideals of striving for a more egalitarian society based on social justice. But the other strand of the movement, Trinh explained, “is aimed at more radical changes and filled up with democratic ideas, which attracts a more brutal response from the police.” The democratic ideas include the setting up of a multiparty democracy and the dismantling of one-party rule. Nine members of the “Brotherhood of Democracy” received harsh sentences for their role in the June demonstrations. It is also clear that, in spite of the asymmetry of power between the giant neighbor to the north and Vietnam, the opposition demands a government that will more firmly stand up to China with greater vigilance in safeguarding the nation’s independence. ← Cục đá 14 tỷ (VND) đấu giá từ Mỹ được thờ cúng và những cô gái truồng cởi !! !